Truth be told, you really don’t have to spend a lot of money to do some very fun family activities in Las Vegas. 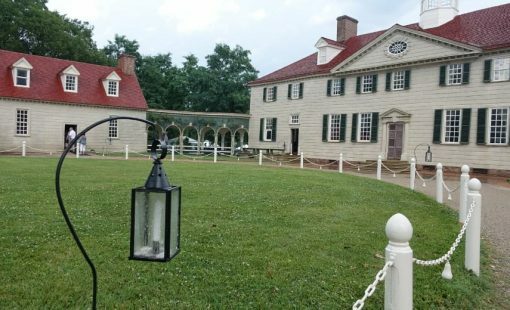 Sure the city has elegant restaurants and five star accommodations (and $10k blackjack tables), but the city is also full of cheap or even free entertainment opportunities around almost every corner. But with so many possibilities, you definitely can’t do it all, and you don’t want to waste any time on activities that won’t be a good match for your kids or your family. 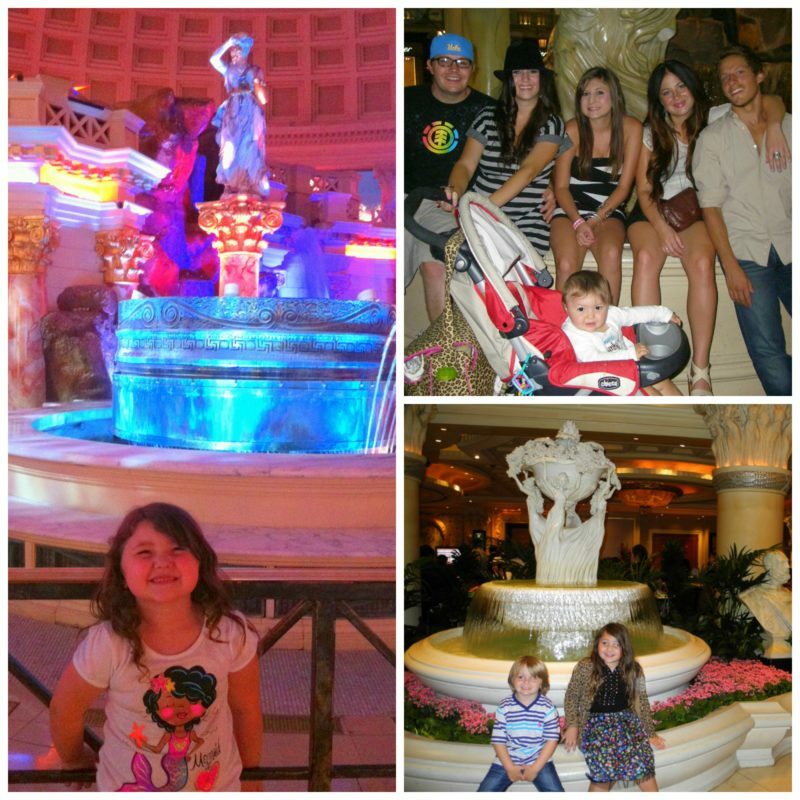 If you follow our blog, you know we visit Vegas frequently with our kids. 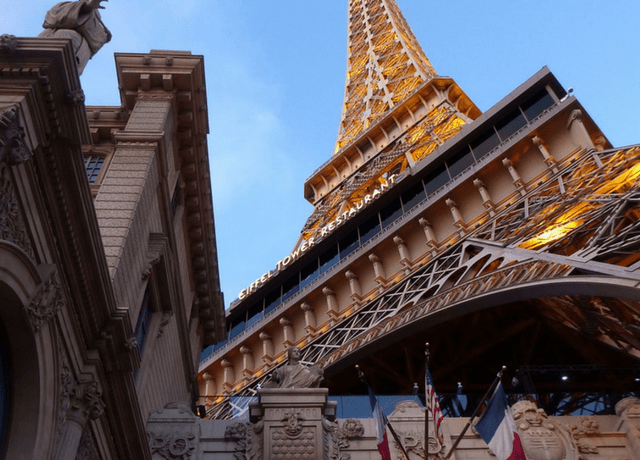 To help you get started on a budget friendly Vegas vacation, we have compiled a list of our 10 favorite free family activities in Las Vegas that we think are definitely worth your time. There is a lot to see in Vegas and although it occupies just a single boulevard, it is bigger than it looks. A great way to soak it all in for free is to simply walk the strip. 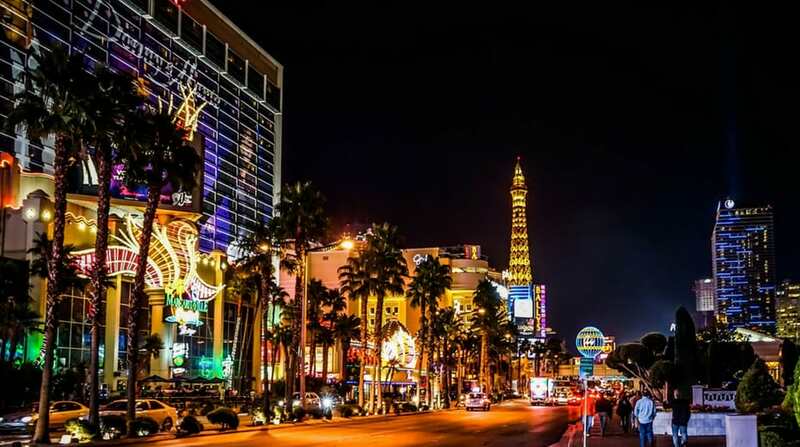 We prefer to walk the strip at dusk as the temperature starts to drop and the millions of light bulbs start to come alive and set the strip ablaze. Yes, the strip is much more calm in the morning, but it is also much less lively (aka boring) in the A.M. It would just be wise not to stay out on the strip too late after dark if you have little kiddos, but a one hour evening stroll would do just fine. Who doesn’t love mermaids? Take the opportunity to see live mermaids swim, flip and blow bubble kisses from a jumbo aquarium inside a Las Vegas Casino. Mermaids swim every Thursday through Sunday. Swims start at noon and go until 8:15 pm, except for Sundays, which start at 10:30 and end at 6:45. The mermaids are super interactive with the kids, which makes it all the more magical. 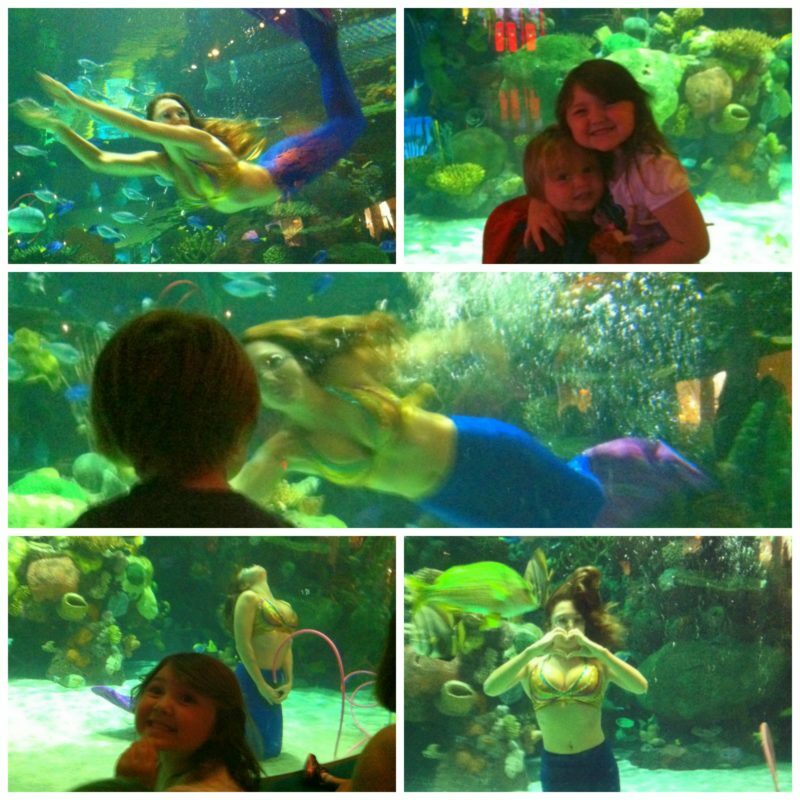 We all love it so much that visiting the mermaids is the first thing we do when we get to Las Vegas. Also, two times day, at 1:30 pm and 4:30 pm, visitors can enjoy an interactive feeding show. The Mirage Volcano is an iconic Las Vegas landmark attraction, erupting nightly at 7:00 pm, 8:00pm and 9:00 pm. Prepare to be amazed by the explosive glory that is The Mirage Volcano. By day it looks like a lush tropical waterfall, but by night it ignites with fury. Fireballs explode from the cool (pina colada scented!?) water as a soundtrack of music feels the night. The heat is intense and the eruptions are very loud, which can be exciting. However, if your kids are jumpy I suggest standing back a bit. My daughter is such a deep sleeper, though, that she once slept through the entire show at about two years old! Located within the Great Roman Hall at the Forum Shops, is the Fall of Atlantis show. What appears to be a regular fountain adorned with Roman statues, magically transforms every hour into a seven minute epic tale that is worth the stop. The statues come alive as they tell the tale of how Atlantis was destroyed. There are fiery pyrotechnics, a light show on the ceiling and tons of excitement. The great thing is that it is located in front of several dining establishments, so you can enjoy your meal and a drink while the kids are being entertained. Also, at the base of the fountain is a huge saltwater aquarium with over 100 different species of ocean life, including sharks! Caesar’s is next door to Mirage and is in a great location on the strip. It is a great choice for families visiting Vegas as well. The Fountains of Bellagio show is a beautifully choreographed water show set to music and lights. Free to the public, the dancing waters span more than 1,000 feet and can shoot up to 460 feet into the air. The Fountain shows are always different and musical selections range from operatic to classical, from Broadway to current popular tunes. Monday through Friday the show starts at 3:00 pm and run every 30 minutes until 8:00 pm, before switching to 15 minute intervals until midnight. On the weekends and holidays, the shows start earlier around noon. You can see the spectacular fountain show from many different vantage points along the Vegas strip. Shopping may not be free, but it costs nothing to take a wander through the grand Las Vegas malls. These aren’t your typical shopping malls. Oh no, Las Vegas is where all the major designers come to open flagship stores alongside upscale restaurants and world class entertainment that only Vegas can provide. Just along the strip, there are a number of high retailers. For example, Miracle Mile and Fashion Show have 200 boutiques and stores each! 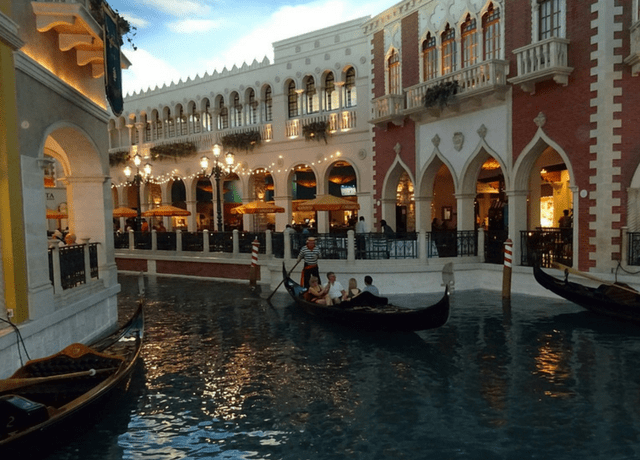 In addition, many hotels have luxury shops as well, like The Forum Shops at Caesars Palace (where you can find the world’s largest H&M), The Wynn Esplanade, Via Bellagio, Shoppes at Mandalay Place, and The Grand Canal Shops at The Venetian, which looks as though you are strolling along the canals of Venice, gondolas and all. The great thing is that these shopping malls are outrageously decorated and have plenty to be entertained without buying a thing. 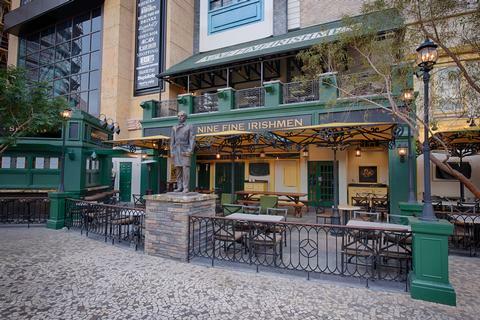 Located between New York New York Hotel and Casino and Park MGM, The Park is an exciting outdoor gathering spot loaded with restaurants, bars and entertainment. There are always fun events, games and concerts happening at The Park, making it a family-friendly section of the strip. 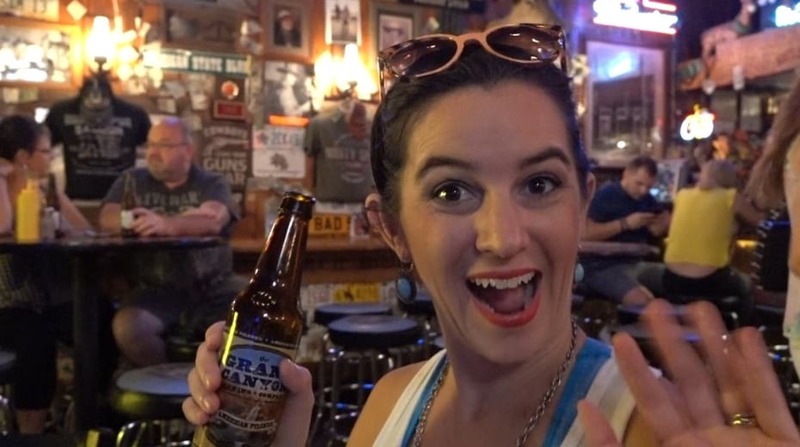 On Tuesdays and Wednesdays starting 5:00 pm is Party at the Park, featuring free live music and $5 beer, wine and shots. 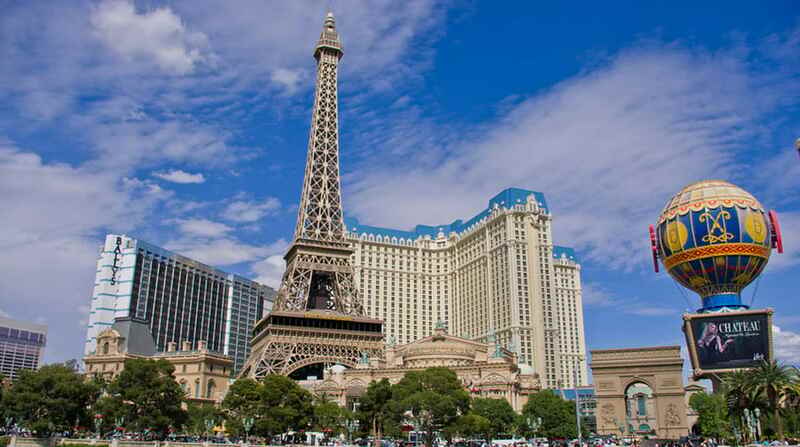 New York New York also made our list of the top family hotels in Vegas, and you can read all the juicy details why HERE. Chocolate lovers listen up! M&M World is 28,000 square feet and four levels of chocolate heaven. Not only is it fun to just walk around enjoying the sights and smells of the giant M&M store, guests can actually create personalized M&M’s. In addition to the chocolaty goodness, M&M World is a great spot to find unique M&M merchandise. For example, where else can you snap a selfie with a giant M&M or Hershey Kiss to express your love of chocolate to all your friends back home? A great way to spend the day in Las Vegas, especially during the summer months is in the pool. Many of the hotels along the strip have gorgeous pools that you’ll want to spend some time by, sipping Pina Coladas in the sun. I personally love The Mirage pool, because it is tropical and lush, and we have been taking our kids here since they were infants. The pool still has the fantastic waterfalls, palm trees and seclusion from the strip that I have always loved. However, every major hotel usually has a good pool, perfect for cooling off and giving your wallet a well deserved break. In addition, pool days are a great way to burn up the kids’ energy too, yielding relaxed kids at dinner. Las Vegas casinos are never short of amazing, but for something truly beautiful mosey into the Bellagio Conservatory and Botanical Gardens. Located to the right of the lobby, this 14,000 square foot floral display, changes every season. On top of that, displays also feature relaxing water features and dripping chandeliers. Wander under the 50 foot raised glass ceiling and take in the fragrant smells and the vibrant colors. This is a super relaxing and zen-like way to spend a free hour or two in Vegas. 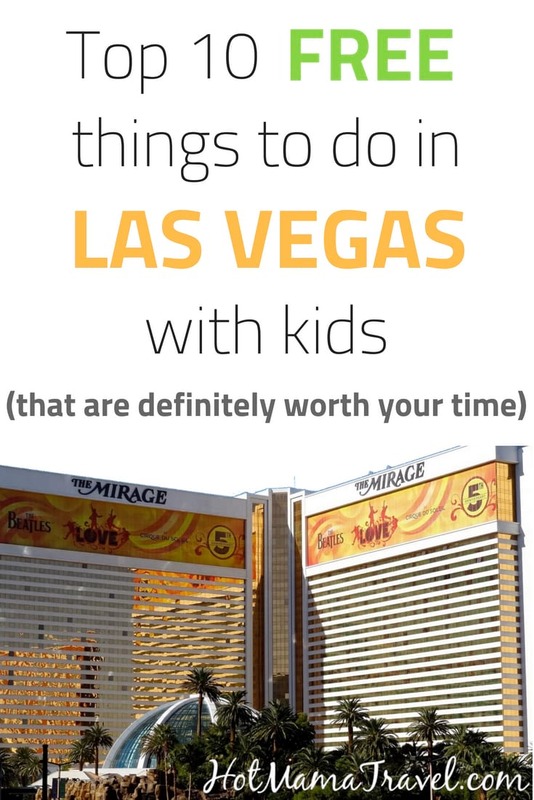 As you can clearly see, there are many ways to have fun on a budget in Las Vegas with kids. 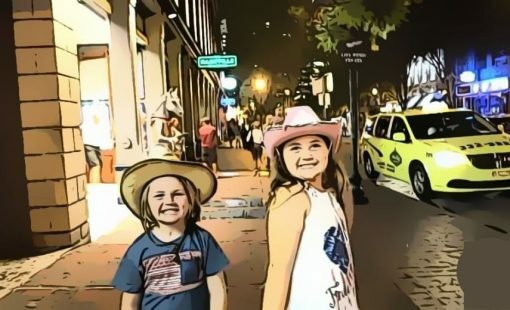 We have outlined ten of our favorite free things to do in Las Vegas, but if you are willing to spend a buck or two, there are also a ton of other great affordable activities for families in Las Vegas (under forty bucks or so). 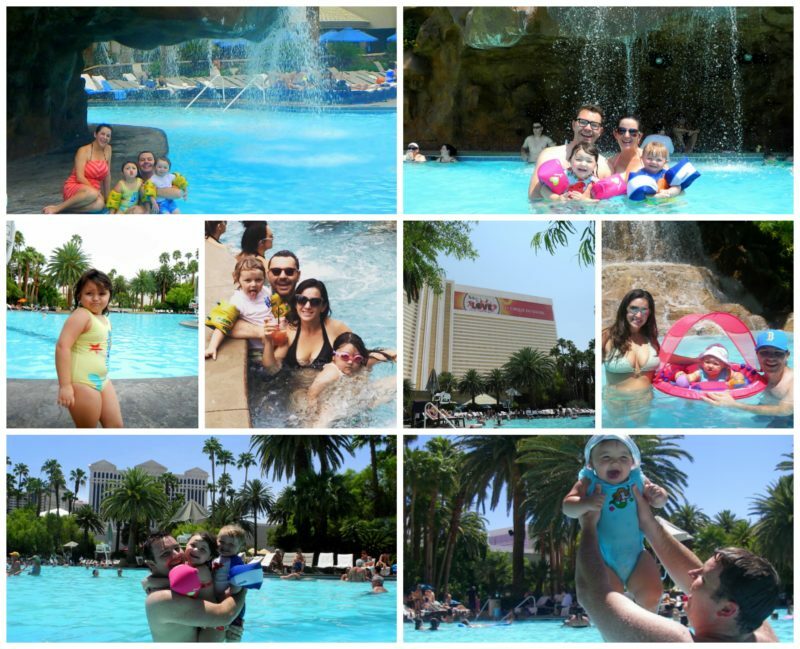 With affordable nightly rates at four star mega-resorts, amazing restaurants, kid friendly family shows, and so many free or cheap activities to spend some fun time with your kids, it is no wonder that Vegas is becoming well known more and more as a bona fide family vacation destination. 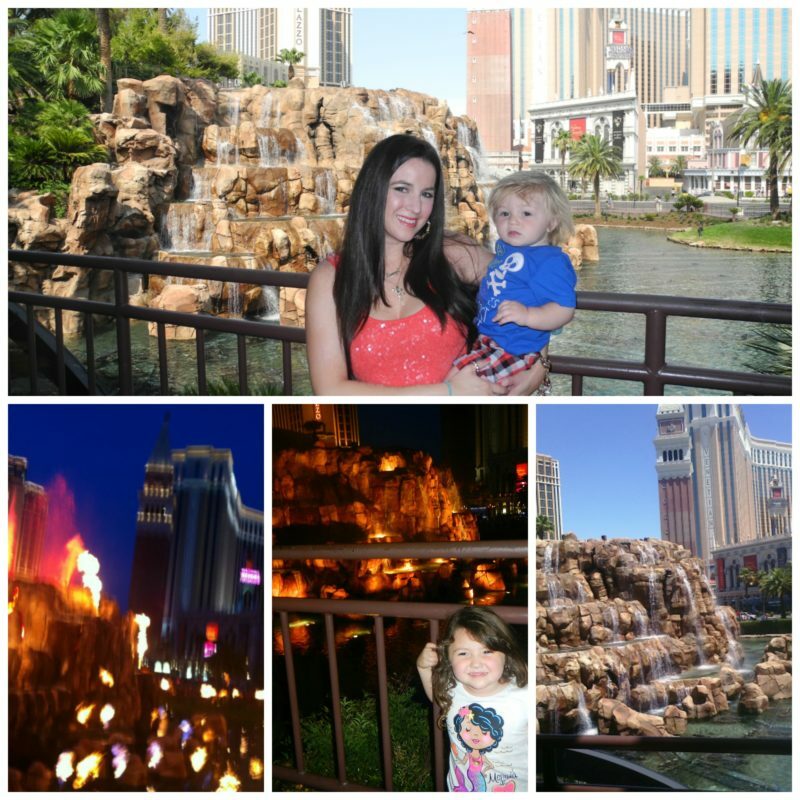 Las Vegas is also one of our favorite family destinations! 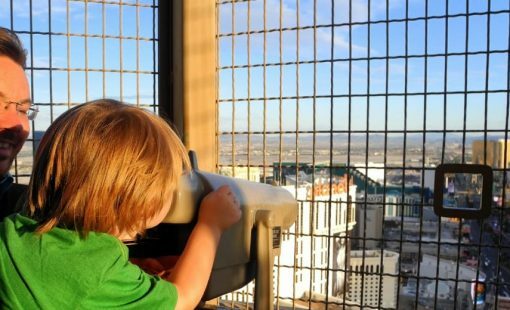 Great job on compiling the list of best attractions and activities to do with the kids when in Vegas! Family friendly and free, can’t beat it right? It’s wild how family-friendly Vegas has become! It’s really becoming a playground for all ages. But the part I really love about Vegas is near the city limits. All the amazing nature on display in Red Rock Canyon, the cool tours at the Hoover Dam, and all the things to see out in the desert. 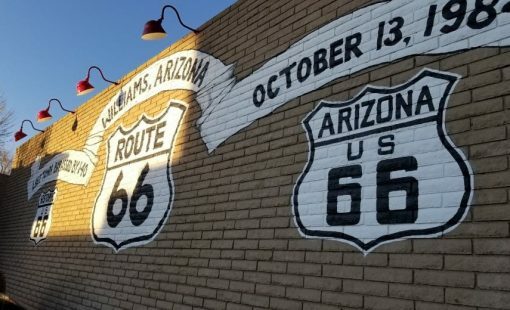 Yes there is some awesome things to see outside of Vegas too. OMG Amanda… M&M world AND!! Hershey’s chocolate world… I’m there! Great tips thank you! Oh yeah! Chocolate heaven! It smells so good in the both stores. The image of Las Vegas keeps changing in my mind. I don’t know what it would look like by the time I finally visit it. But it’s good to know it’s so family-friendly. 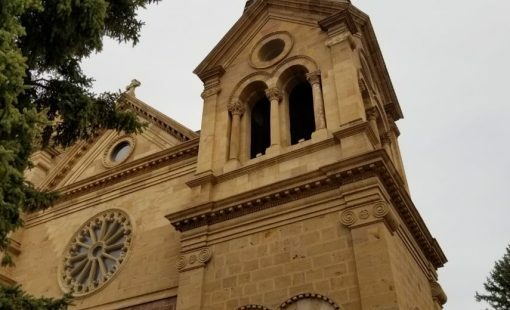 It is definitely worth a visit a least once. What a great idea to watch from the Eiffel Tower. I didn’t realize you can go up it. We did watch from the patio at their restaurant, which was a wonderful vantage point. Oh yeah, it provides a whole new perspective of the city from the top. This looks awesome, even as an adult without kids haha. I’d love to visit Vegas someday, and will definitely be checking out all of these spots!